Welcome to Part II of the Maximum Profit System, the most unique and effective crop production program you have ever experienced. The Maximum Profit System Part I, focuses on helping growers raise their corn yield averages higher than they ever thought possible. As a result, many farmers have not only experienced significant increases in their corn yield averages but many have also reached or exceeded the 300 bushels per acre target we set with all of our growers who joined the Maximum Profit System. Our Maximum Profit System Part II is designed to help you raise soybean yields to levels you thought were never possible. In fact, our goal is for our customers to achieve levels of 150 bushels per acre or higher by changing how they think about raising soybeans. Are you laughing? Well, if you are, we believe you will stop when you start reading about things you can do right now to raise your soybean yields next year. 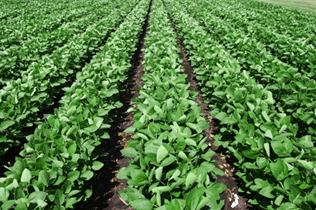 Consider the fact that most soybean varieties have the ability to produce from 250-300 bushels per acre. That being said, we believe the Maximum Profit System can help soybeans growers achieve half of that potential or more. As a soybean grower, you probably believe that you are already doing everything you can to raise top yields or that top yields only occur when Mother Nature cooperates. But that’s not true at all. Therefore, to become part of our Maximum Profit System Soybean Program you will need to change how you think about raising soybeans. In fact, it’s going to require a whole new line of thinking and it starts with believing you can do it. When the average 21st century soybean farmer is still raising 40-50 bushels per acre, we’re talking about setting yield goals so high that they make many soybean growers laugh. Let’s face it, striving for 150 bushel per acre soybeans stretches most growers’ minds to the limit. Once you believe, all of the tools that come with the Maximum Profit System can be used and used properly. How many years have you relied on 1-3 bushel annual increases in your soybean yields? Although those kinds of yield increases are positive, they can’t keep up with today’s increasing costs and fluctuating market prices. It’s a long way from our goal of 150 bushels or more per acre. It will take time to reach the new goals you set for your soybean operation. If it has taken you 10 years or more to raise your average soybean yields by 5 bushels per acre, you probably think that raising them 10-15 bushels in a single year is impossible. Well think again. We will help you do it as we work our way to that 150 bushel yield goal. Would you be happy if you could be averaging 100 bushels of soybeans per acre 3-5 seasons from now? Sure you would. So set that time period as one of your goals, and we will help you get there…maybe even higher and maybe even sooner than you think. So many soybean growers believe that soybeans have a much more limited potential to produce high yields than other crops like corn. But that could not be further from the truth. Even in the BEST soybean producing areas, much of the performance of this self-pollinated crop comes from the variety itself. Growers have learned how to plant them, control weeds and harvest them but that is about it. They have consistently adjusted plant populations, planting depths, row spacings and even purchased new planters in an attempt to achieve better stands as attempts to get higher yields. But there are so many other factors that contribute to top yields in soybeans—factors that cannot be controlled with a few above-ground adjustments. The Maximum Profit System will help you with those increments of yield that no one ever tells you about.